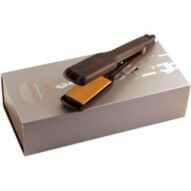 GHD hair straightener, cheapest GHD hair straighteners - GHD. Best Deal on the Net! Just �84.95. 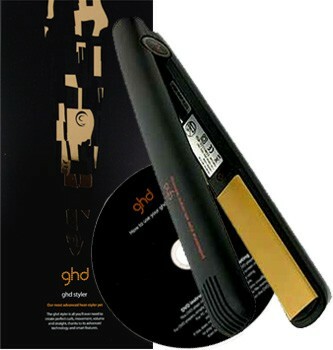 GHD Hair Straighteners: GHD straighteners have become legendary in hairdressing. Endorsed by the world's top session stylists and hottest celebrities, the revolutionary ghd original ceramic styling iron is everybody's number-one, must-have beauty accessory. The GHD hair straighteners were the first straighteners to offer ceramic plates and high temperature with ceramic heating elements. The iron maintains its optimum temperature throughout the styling process. See the full range of GHD hair straighteners. 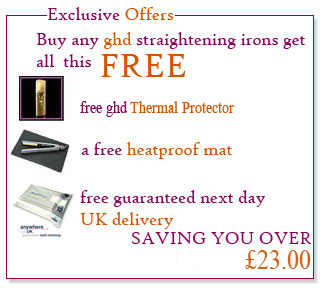 GHD irons available for next day delivery! All of our GHD straightening irons carry the official hologram which can be verified on the GHD website as genuine, the boxes are factory sealed. All GHD irons have a full manufacturers guarantee. Only available from Exclusive Brands! Following on for the success of the original GHD ceramic iron we are pleased to present the latest narrow plate GHD, the GHD IV Mini Styler. Now with slimmer ceramic plates that smooth and shine your hair in minutes, easy to use with salon results. These irons are perfect for shorter hair styles. Locks in moisture with no hair damage. Salon approved to straighten and smooth. These are covered by a full manufactures guarantee. These are a genuine UK, CE approved product. An extra long "swivel" flex and UK plug are provided. Compare the prices of the leading retailers here, here and here. 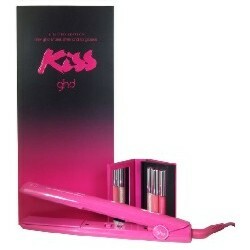 This new MK4 version of the best selling GHD ceramic iron has now replaced the popular 3.1b GHD. It now offers temperature control for even greater styling. Universal voltage so you can be whoever you want to be, wherever you are. New sleep mode, automatically turns off and increased 2 year warranty for greater peace of mind. The new GHD IV Salon Styler with wider ceramic plates that smooth and shine your hair in minutes, easy to use with salon results. These irons are perfect for thicker hair, salon approved to straighten and smooth. 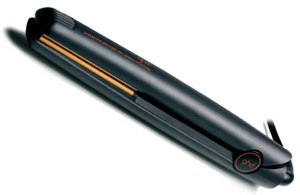 The new GHD IV Salon Styler has the same advanced featurers as the standard with GHD MK IV. These are a genuine UK, CE approved product. An extra long "swivel" flex and UK plug are provided. for the new GHD IV Salon Styler here, here and here. The Pink GHD is released each year for Breast Cancer Awareness month. For every iron sold a donation is made to Breakthrough Breast Cancer. 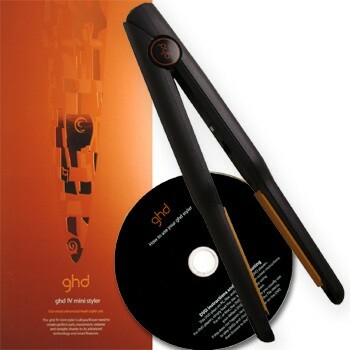 The limited edition GHD Dark with its high gloss black finish and the same advanced features as the strandard GHD MK4. 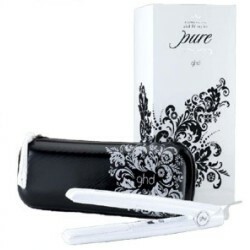 The limited edition GHD Pure hair straightener with its high gloss all white finish, it has the same advanced features as the strandard GHD IV stylers. The limited edition purple GHD hair straightener, high gloss finish, it comes complete with a matching paisley patter purple bag and purple GHD travel dryer.